Having a break in your voice as you sing from your chest voice into your head voice is embarrassing and frustrating. 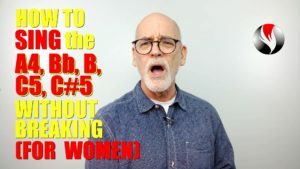 Inside this video I’ll help you learn how to sing from chest to head voice without breaking… stop breaking completely…not just cover it up or smooth it out..but eliminate it. Watch! Some years ago I attended a performance in a large venue with over 20K in attendance. 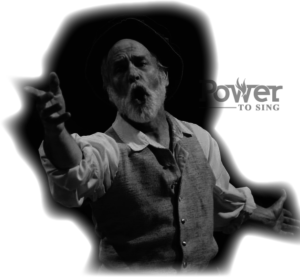 A world famous choir was performing with an renowned international bass-baritone. In the middle of one of his songs he massively cracked. It wasn’t just a little crack, it was a big one. So much so that I wondered if he was fighting a cold and this why such a skilled singer cracked. But no matter the reason, years later I remember it and I bet he remembers it… all too well. Pavarotti had the same thing happen to him. He said people booed him. Audiences can be very unforgiving. Here are two vocal exercises and one trick you can use to eliminate the break in your voice. Before I share these, let’s talk about why breaks happen. Illness. You are sick and your vocal cords are swollen. This requires you to be perfect in your technique. Even then, you might still crack after all you do to prevent it. You pull your chest voice too high. This is one of the most common reasons you break routinely. Your larynx is to high. This happens when you strain and reach upward for the high notes. By habit you just let go into falsetto so no one can hear a crack…even though the results are the same…you’ve broken the tone by going into falsetto. There are several key principles about this exercise. Next, you must begin doing this exercise softly while maintaining the witchy, exaggerated sound. Doing this correctly results in eliminating the weight of the lower voice as you ascend in pitch while not letting go into falsetto on the higher pitches. Gradually eliminate the witchy sound until you are able to do the exercise in your normal singing voice while keeping the tone connected. You must keep the larynx down at the level where you speak. Otherwise you will always be fighting this break. Doing this correctly results in keeping the larynx low at your speech level as you ascend in pitch while allowing your voice to go hooty on the higher pitches. Gradually eliminate the dopey sound until you are able to do the exercise in your normal singing voice while keeping the tone connected. For a more detailed video about vowel narrowing watch this video. Other exercises to eliminate the break can be found in the exercises for your vocal type. 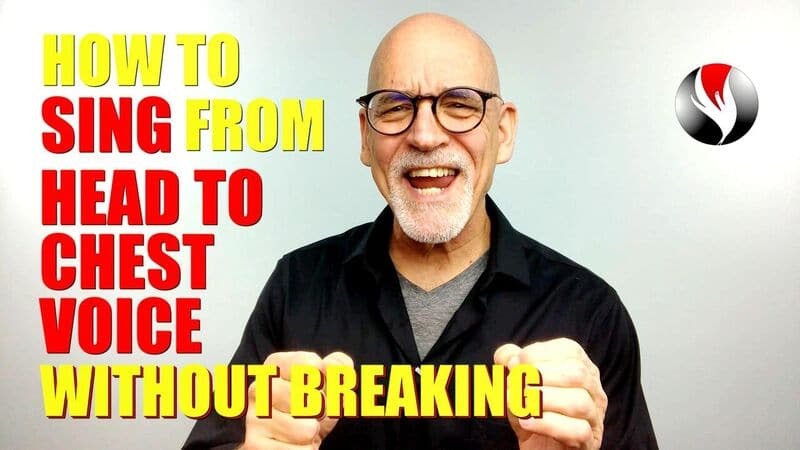 To get your vocal type and exercises that eliminate straining, cracking, breaking and falsetto these are available in the PDF, “Get Your Vocal Type”. Get the PDF now my clicking here or you can find the link in the Youtube video description below this video. This PDF will take you to a vocal test, which I call the PowerTest. This will give you your vocal type, and it contains links to videos for each vocal type, together with exercises for men and women that will help you to sing from chest to head voice without breaking.